Sliding doors in Portland and across the US are a classic design element for a reason. They let in tons of light, are easy to clean and provide a seamless transition from the house to the patio. Here are some simple and fun design trends that offer even more to love about sliding doors. Liquid chalk is not just for the deli board anymore. Liquid chalk paint and markers turn any smooth surface into an artist canvas. Use chalk to incorporate sliding doors into holiday celebrations, birthday parties and more. Liquid chalk art companies sell stencils for almost any occasion. It can also be used to write inspiring quotes on a sliding door that will seem to hover in the air. Liquid chalk is inexpensive, easily removable and has the undeniable benefit of reminding people that the glass door is there before they run into it. Cornices are specialized pieces of crown molding that can accent the area above a sliding door. There are many online tutorials that guide readers through making their own. Cornices can house curtain rods and, combined with curtains, can add a dramatic flair to a room. Cornices and curtains create a timeless look that allows for sheer or opaque coverage of the sliding door when homeowners want less light or more privacy. Many homeowners with sliding doors in Portland are taking advantage of this low-effort, high impact trend. 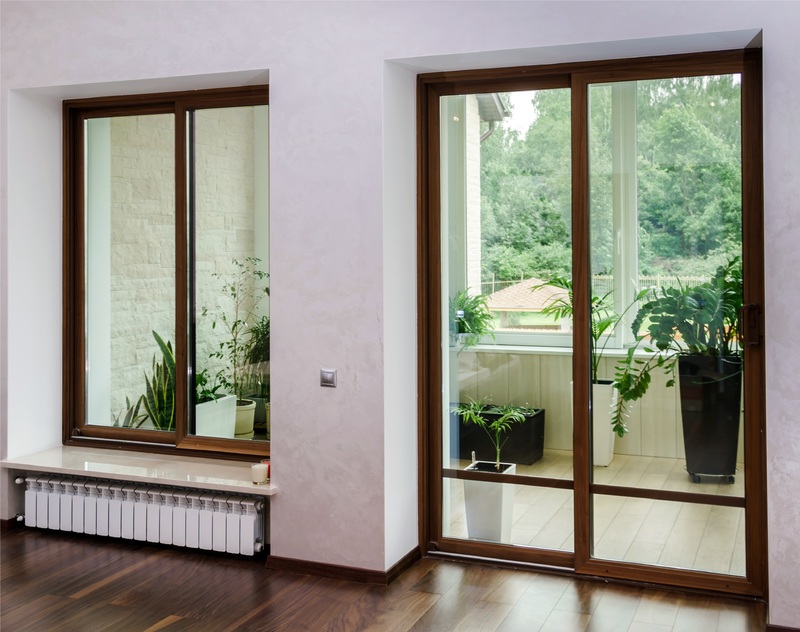 The most permanent design trend for sliding doors is adding another door or set of doors on the inside of the house. Adding another door adds an extra layer of security and expands light and privacy control options for homeowners. It also scores points for sheer wow factor. Some homeowners install French shutter doors that add a classic touch to the home decor. Others use industrial sliding barn doors to add a uniquely retro twist. Which of these new design trends do you find most appealing? To get started on your own trend-setting with a great new sliding door in Portland, Oregon, choose Accurate Window & Door.